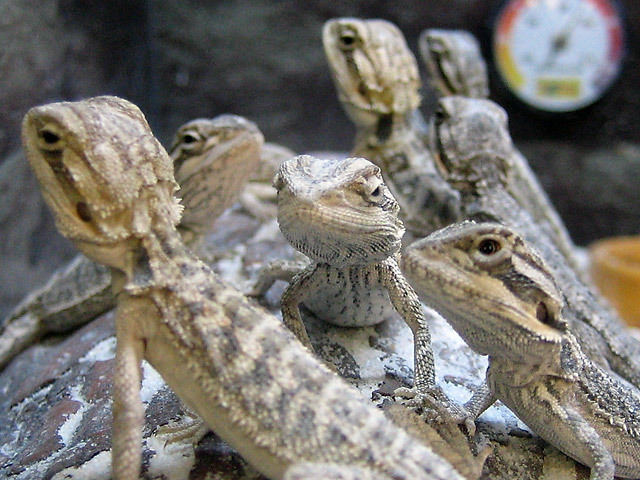 Lizard Posse I: A posse of lizards hangs out together in the sun lamp heat. Canon PowerShot SD200 f2.8 1/50sec. , Digital macro mode.